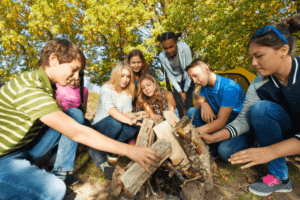 Survival Lesson and Kit of the Month Club – Trail Blazer Survival School, Inc. Your monthly subscription includes full-color 8.5" x 11" pages of a specific survival skill lesson illustrating with full color, high resolution photographs and explaining in detailed descriptive text how to perform that months selected skill in detail. You will also receive a survival kit of related gear to practice the skill. The monthly subscription cost is $19.99 USD for our Essential Wilderness Survival Skill Lesson and kit, or if you just can't get enough survival gear upgrade to our Applied Wilderness Survival Skill Box with your Survival Skill Lesson for USD $30.00 more. It comes with additional gear/features related to that months lesson. Or, take it to the next level and get all the gear in the Applied Wilderness Survival Skill Box plus a unique knife every month specially useful in wilderness survival when you sign up for the Advance Wilderness Survial Kit along with your Survival Skill Lesson, Only $99.99 USD. Your credit card will be charged on the 1st of each month. There are NO CONTRACTS. You can cancel your subscription at any time, for any reason, by simply sending us an email. Subscriptions automatically renew each month until you cancel. Your Survival Skill Sheet will ship on the 7th of each month. If you subscribe after the 1st of the month, you will be scheduled for the NEXT month's Lesson and Kit.